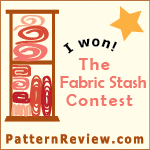 When I am in a bad mood or unhappy I tend to buy fabric, patterns or sewing books. 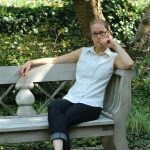 It is like I disappear into another world and I often have the illusion that with buying a pattern I already own the finished garment. Sounds silly, I know, but happens often enough. 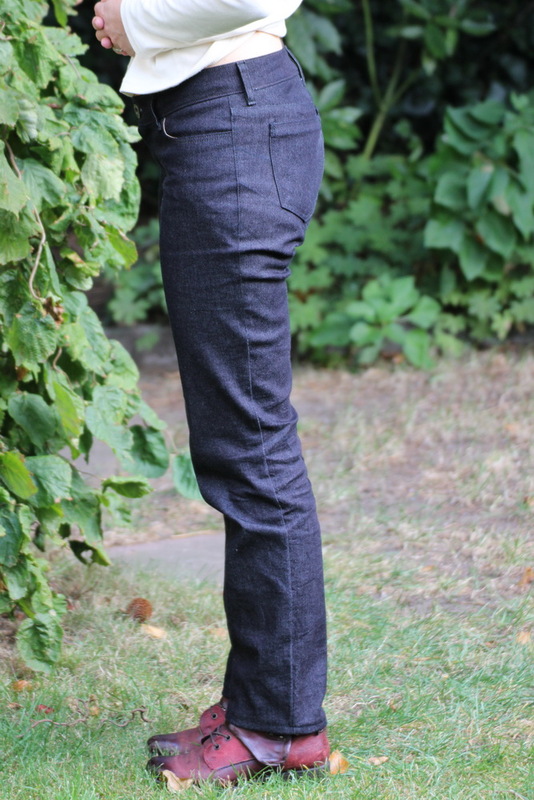 This is how I came to the Ginger Jeans pattern. I am in a desperately need for a pair of jeans. I love my Liana Stretch jeans, but the color is difficult to combine and the raise is a bit too high for my taste. And as the fabric I used for the Liana jeans wears out already minutes after putting it on, it is really difficult to assess the fit. 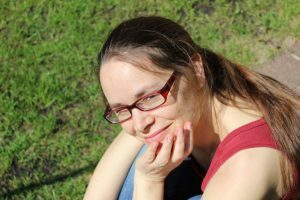 This is why I decided against altering the Liana jeans and starting with a new pattern dreaming of a perfectly fitting pair of blue jeans. So now here they are, my Ginger Jeans, not blue and not perfectly fitting, but a real pair of jeans! I made view A: low-rise with stovepipe legs. 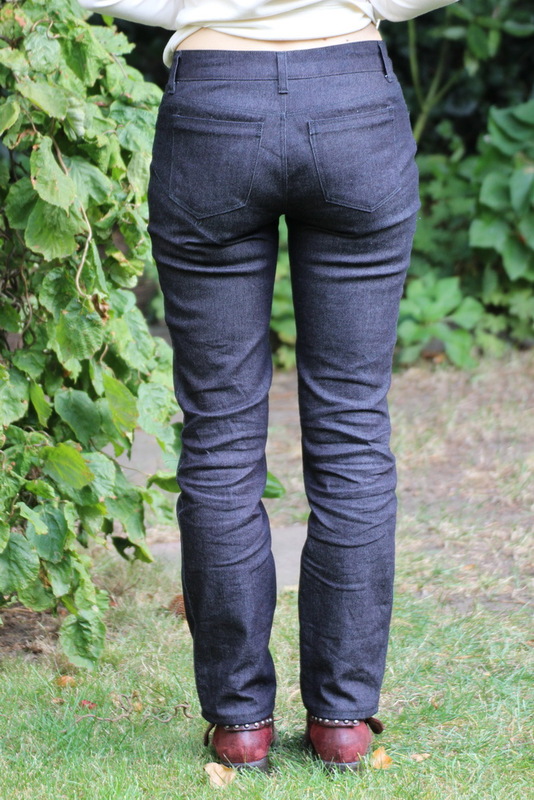 I bought some denim from stoffe.de that were on sale for a first test version of the Ginger Jeans. Unfortunately they only had black denim but it was rather cheap and so I decided for a test version this would be fine. The fabric has 2% elasthan. It feels a bit stiff, but it holds the shape over days and does not wear out. 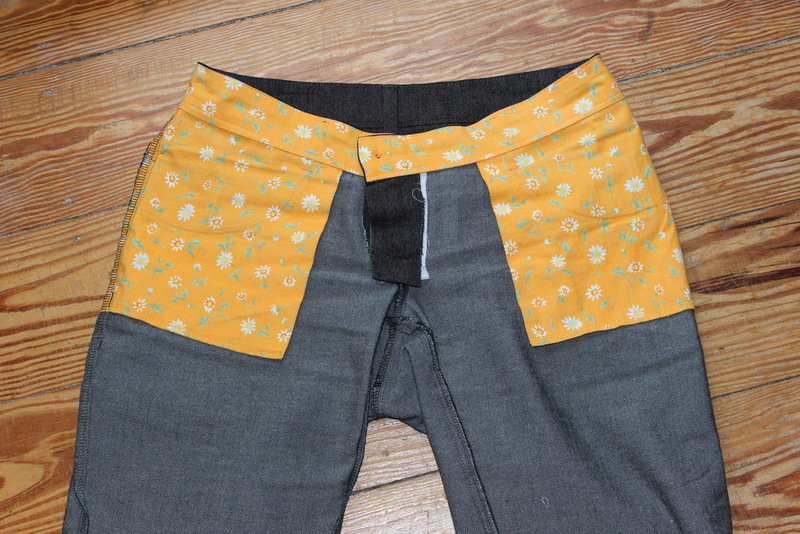 For the pocket lining and inner waistband I used some cotton scraps I had in my stash. I love how the orange flower print looks against the black denim. 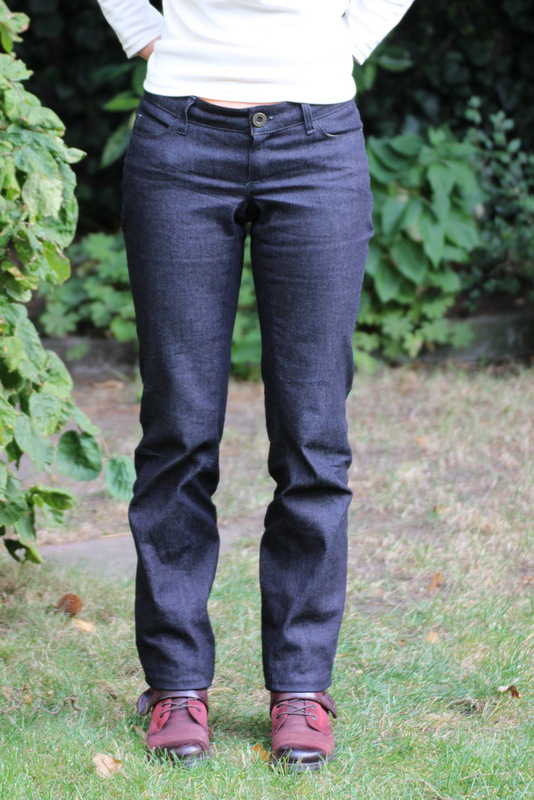 I do not know how often I read on blogs “I made the Ginger jeans without alterations and the fit is spot on”. So, I am not one of those lucky girls. My experience with pants so far is not the best one and I knew that I would need to fit the pattern and I would need time for that. I had a week off in October so I decided this would be the time for sewing up the Ginger Jeans. I spent three complete days with fitting! And there are still issues to fix. Maybe American patterns just do not fit my body shape? But RTW pants do neither…. 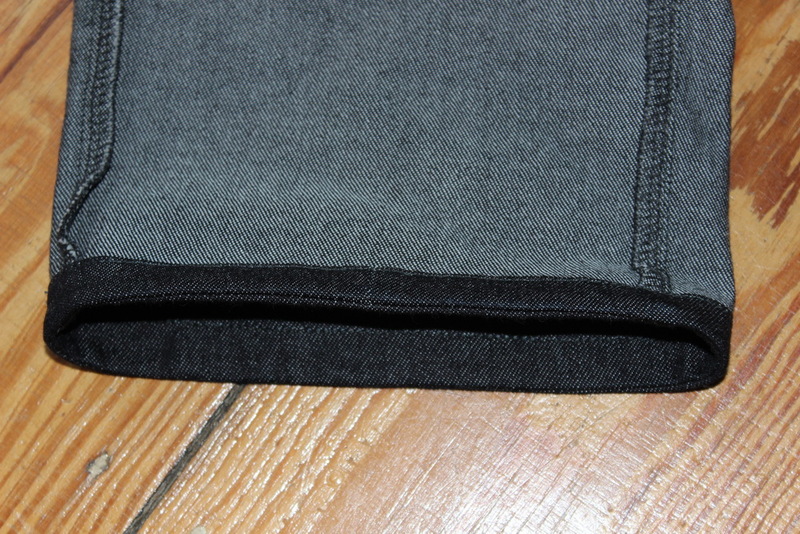 I also noticed that the point where the inseam and crotch seams meet is shifted to the front. So I think my attempt to reduce the excess fabric at the front crotch was maybe not the right one. With the next version I would try to bring the seams back by lengthening the front crotch and reducing the back crotch seam by the same amount. I am also a bit frustrated because until now I have not found a solution how to get rid of excess fabric at the front crotch. I have this issue with all pant patterns so far, but I have not found this described in my fitting books or craftsy classes. My first attempt was to make the front crotch curve more straight, so it looks more like a J. But then it was too tight and I had to go back and immediatley there was this excess fabric. I often have the feeling with pants fitting that I make an alteration to solve one issue, then I make the next alteration to solve another issue, and this reverses the first alteration. Which means the whole process is somehow ineffective. I did not look at the instructions but followed Heathers Sew Along. As this is a test version I kept the construction simple, no flat felled seams. 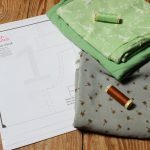 I finished the seams allowances with my serger. For the topstitching I used my regular thread but doubled it. The hem was a bit short, so instead of double folding it to the inside I used a facing. This helped me to get as much length as possible. I haven’t made up my mind yet if I like my pair of Ginger Jeans or not. Partly because of the rather stiff fabric (but that is ok, it was cheap after all, and this is a test version) and partly because of the fitting issues. There are still so much wrinkles. And I feel a bit lost as I have no idea how to improve the fit. Maybe I should go back to the Liana jeans and lower the rise.